Embellish your jewellery with a splash of colour from statement components in vivacious hues from our Bold collection. Sunshine yellow agate, fuchsia teardrops and geometric turquoise howlite beads decorate chunky chain and gleaming metallic fashion elements add a vivacious flair for a truly unique look to make your design stand out from the crowd. 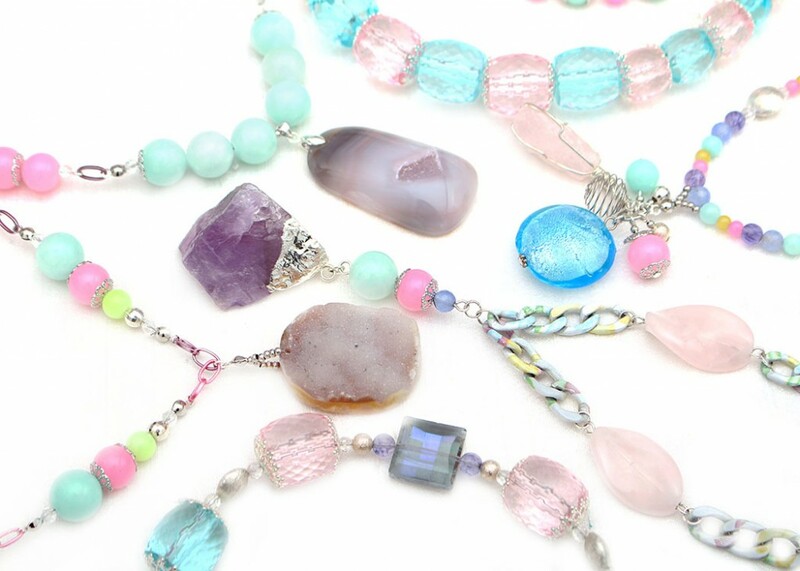 Design with delicious amethyst, rose quartz and druzy pendants and sumptuous petite beads in pastel shades of lilac, sugar pink and aqua blue. 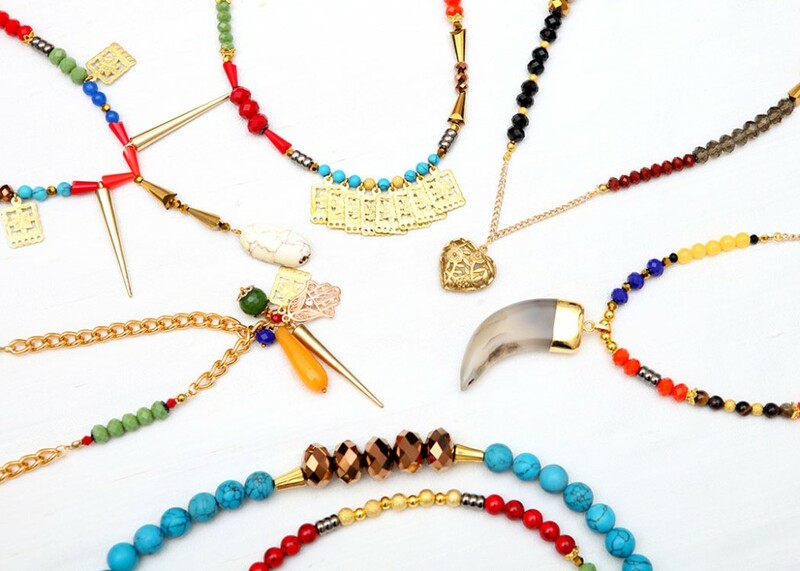 Mix quirky chain in bright rainbow hues with beautifully feminine rose gold for an indulgently sweet style. Raw cut, crystallised components create the Candy collection, adding a bespoke charm to your jewellery. Adorn your necklace in exquisite gold and sumptuous shades of purple with beauteous components from DIWAH’s Classic collection. Faceted crystal and sophisticated pearls create a chic shine to add a luxe, feminine appeal to your bespoke jewellery. 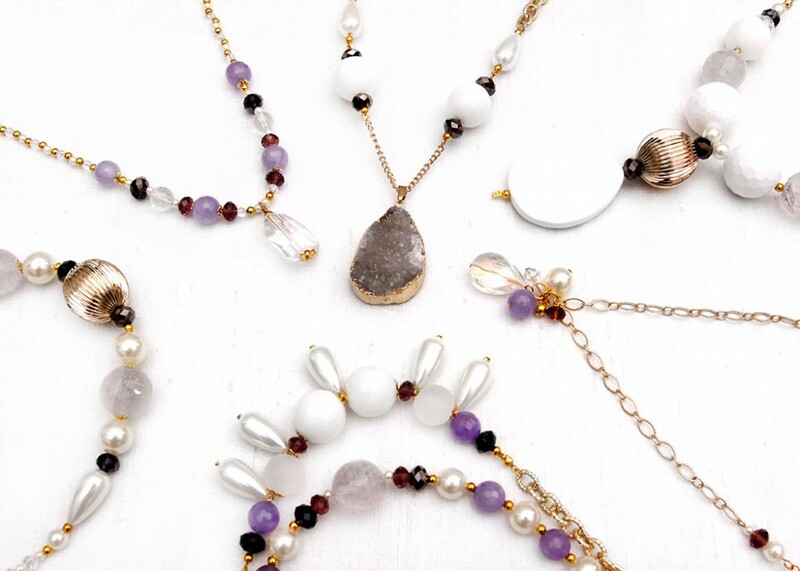 Delicate jade and agate elements in soft lilac, rich plum and refined white complement druzy. Create a contemporary style with luxe metallic fashion elements and sleek slate grey semi-precious components from the Urban collection. 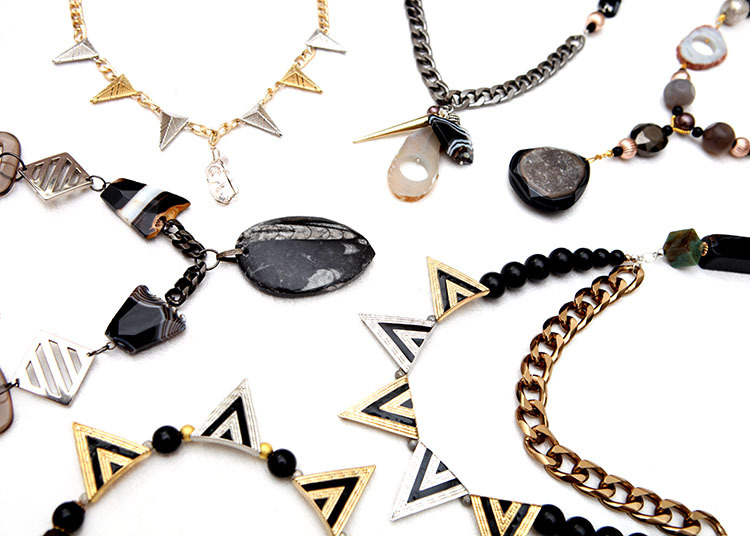 For statement city chic we have included edgy black and gold components, from oversized chain to irregular semi-precious beads. Touches of monochrome and smoky quartz enhance this modern look. 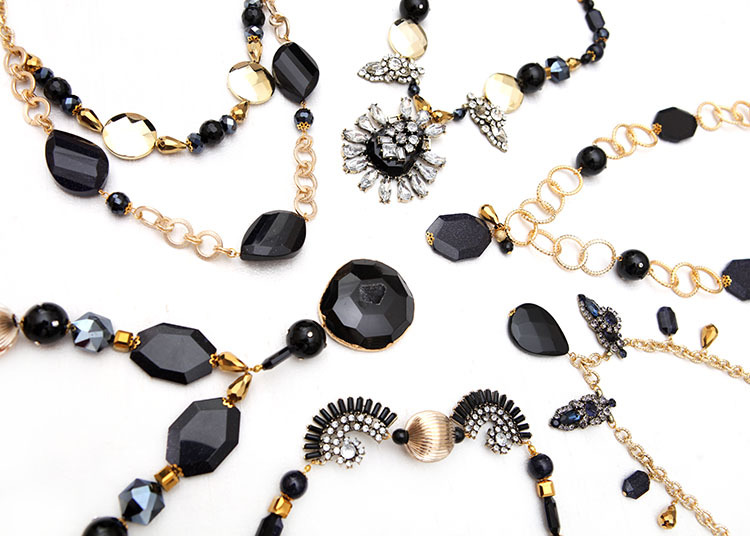 Inky blue goldstone and irresistible, diamante embellished cast pieces make the Evening Glam collection truly stunning. Add the exquisite allure of black and gold druzy agate and gleaming fashion elements. 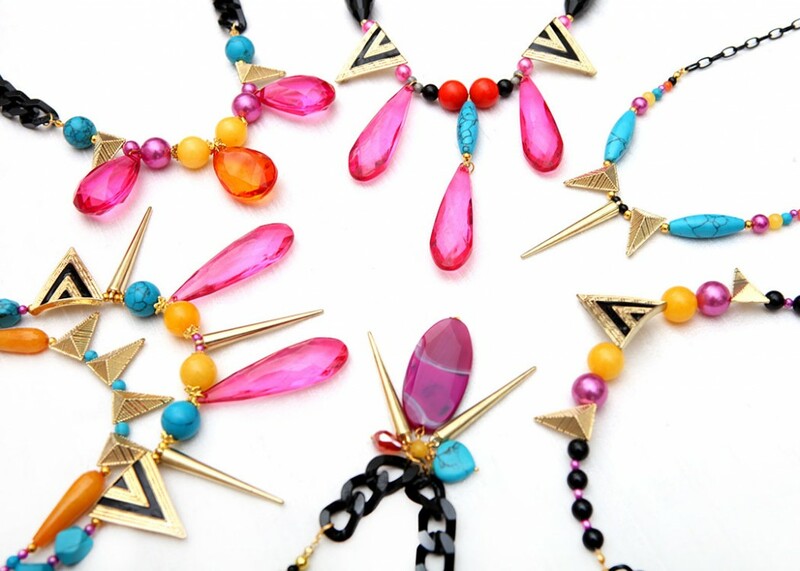 Adorn them with ornate bead caps to create a beautifully unique statement necklace. 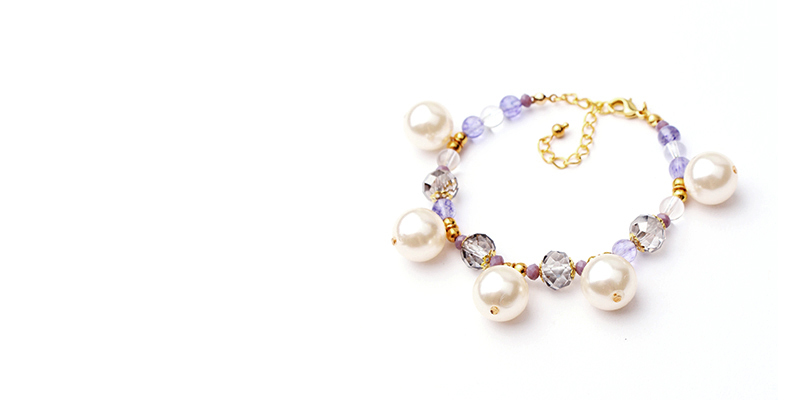 Strikingly elegant crystal beads enhance this glimmering look. 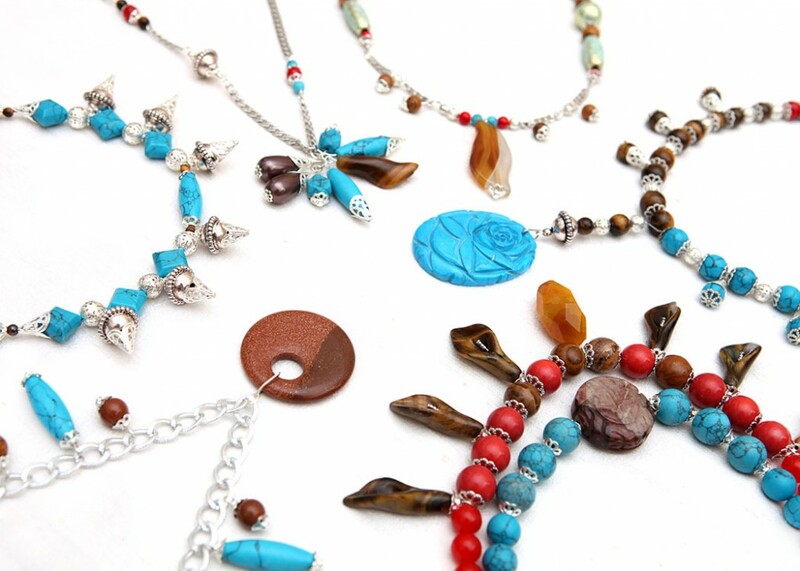 Rich turquoise and tiger eye components give the Boho collection a fabulous festival feel. Rich, rustic reds inject sumptuous bold colour with beautifully bright summer vibes from polished silver chain. Hand carved pendants and glimmering goldstone create a free spirited, chic style, enhanced with divine semi-precious orchid beads. Sleek, dove grey agate saber tooth pendants showcase the Tribal collection, with playful, beads are paired with bold, natural hues, from turquoise and moss green to yellow and rustic red. Embellish our beautiful Navajo style components with intricate bronze or gold bead caps in unique cone shapes for a striking bohemian design. Ocean hues and beach inspired elements adorn the Sea Breeze component collection. Breath-taking chunky agate pieces in shades of azure and cerulean blue taking centre stage. Oversized pendants coated with a divine gold foil surround add an ethereal, luxe appeal to crystallised druzy. Coral and cerise pink enhance delicate gold chain. 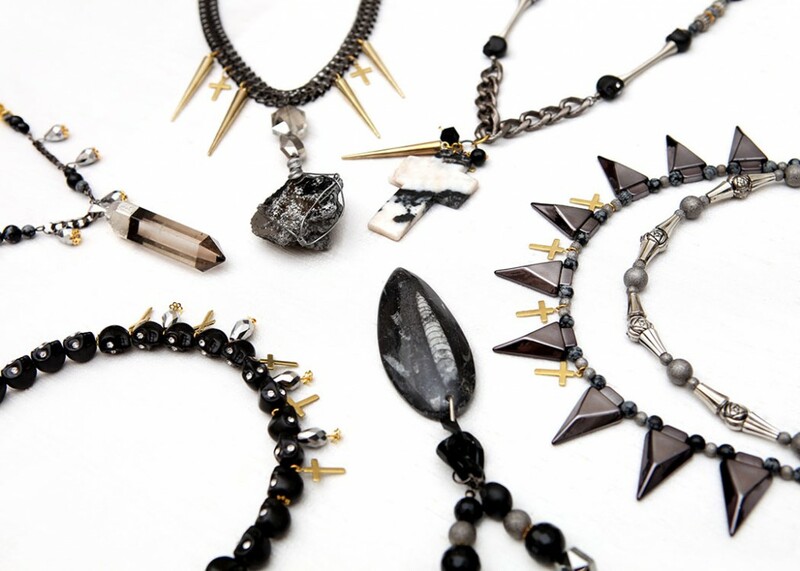 Give your design a dose of alternative edge with DIWAH’s Rebel component collection. We have arrow heads and spike embellishments in gunmetal matched with semi-precious and metallic fashion elements with attitude. Polished jet black faceted agate creates a striking appearance alongside unique diamante eyed skull beads. Opt for understated stylish classics like gold chain and silver fashion shapes to start off your design using DIWAH’s Base collection. Faceted acrylic teardrops and beautifully striated semi-precious pendants crafted from agate and jade will suit any style, in a variety of bold hues, from sky blue to sumptuous purple, pink and smoky grey. With over 1,500 semi-precious and fashion components to choose from, there are limitless ways to design and express your style with DIWAH. We’ve grouped these together by trend, to help make choosing your components easier. If you’re designing for a specific style or look, the DIWAH component collections are here to help you! Each collection features a selection of beads and elements, which are based on contemporary fashions and our current necklace collections. For vibrant hues try our Bold collection, with agate beads in canary yellow and gorgeous fuchsia fashion teardrops. 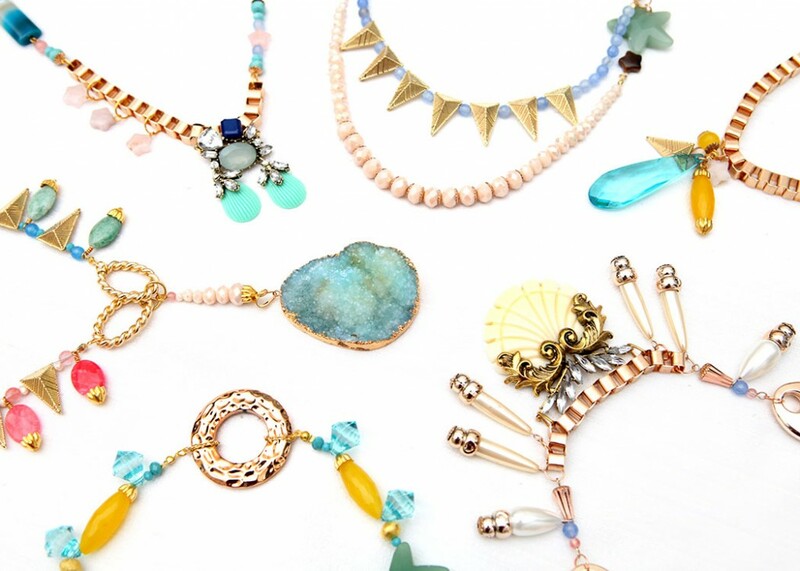 The Boho and Tribal collections showcase semi-precious turquoise and delicate golden charms. Funk up your design with chunky curb chain from our Urban range, or go for glittering, blue goldstone and statement cast pendants, with our Evening Glam collection. You can also browse DIWAH’s base collection; a selection of staple components chosen by our designers that look stunning on any bespoke statement piece. Choose your favourite collection and start designing!